To me, packing for vacation is an art form. 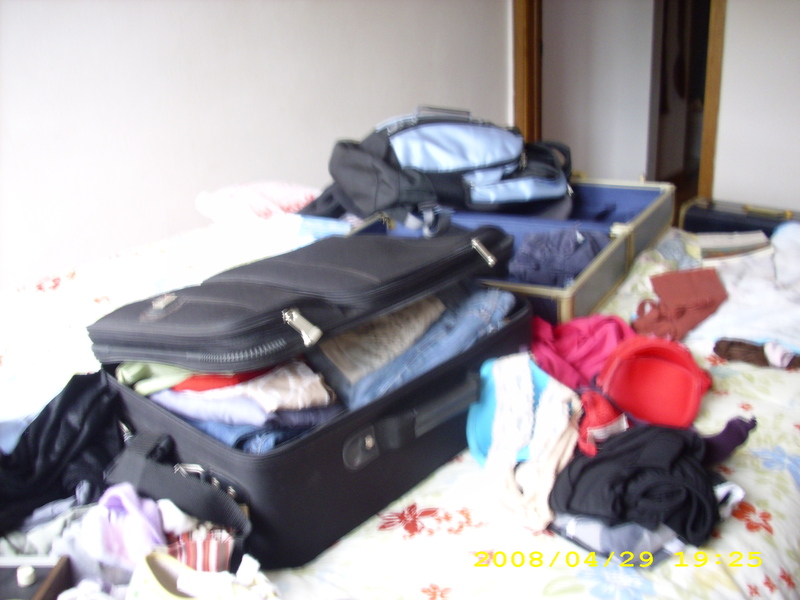 I like to start a few weeks before the trip and end up fully ready to walk out the door at least five days in advance. The old saying about planning vacations being half the fun was written because of me. Just not this time. Here I am, on the brink of a trip I have waited fifty long weeks for, and I am just now nearing the end of my preparations. I have run into a few snags along the way. First, I am keeping an eye on the weather to see when I should leave. There’s supposed to be nasty storms across the Great Plains for the next week and I would like to avoid them. Last year I did not avoid them and spent a good amount of time hiding out the near the Corn Palace in Mitchell, South Dakota. Another thing about the weather, my A/C is completely shot. So I would rather leave when the temps will be below eighty degrees. Now, beyond the climate, I am realizing that there are a few things that I need to decide before I depart. My car stereo is shorting out. This is the worst thing that could happen. A flat tire I can change, I cannot fix a stereo. So, I need to purchase six D batteries to put into my 1996 boom box that I am going to strap into the passenger’s seatbelt so that I can find random radio stations along the way…and probably learn new country songs. Also, I am starting to get cheap. I do this when I travel. I have a cooler ready to be packed with sodas and lunch meat. 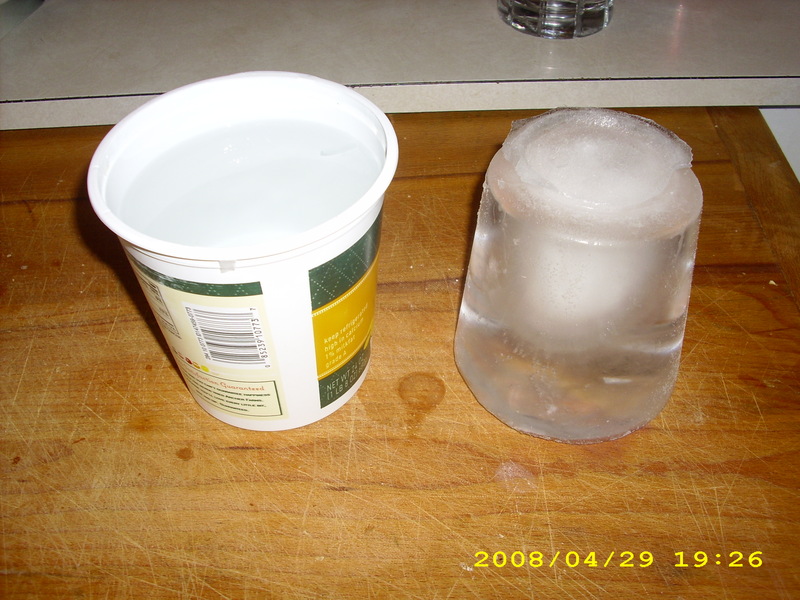 I am in the process of freezing water in plastic containers in my freezer to avoid buying bags of ice before I go. 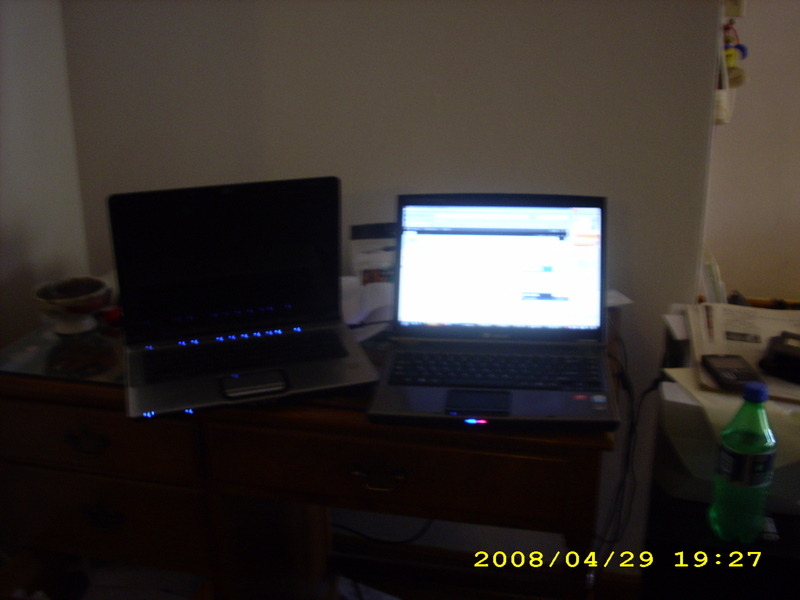 Finally I need to decide which laptop to bring, the nice pretty one that is much much faster, or the Fisher Price model that may be the better choice in case I forget it at the Super 8 motel in bumsville North Dakota. So, I am going to leave in the next 12-36 hours, depending on the weather. Whee! This entry was posted in Blogroll, entertainment, family, food, happiness, health, Holidays, home, how to, Life, travel. Bookmark the permalink. do i see a cassette player on the front of that boombox? that in itself is reason enough to bring it along. you can avoid all the country music AND relive your high school cruising days. i cant pack for any trip until the night before i leave. if i packed too early, i would have no clothes to wear because they would all be in my suitcase. then the morning i leave, i throw all my toiletries in a backpack. but my trips are never weeks long or cross-country, nor do i bring a small child along. Ah, yes. I should use the cassette player. I think the only ones I have left are Shakespeare’s Sister and EMF. shakespeare’s sister, wow, i forgot about that. that’s great. i cleaned out my car a couple weeks ago, and i finally threw away the last couple i had in my glove box. there was a cure, a new order, and a sponge still in there. i couldnt bear to part with them for the longest time. they probably didnt work anymore anyways. 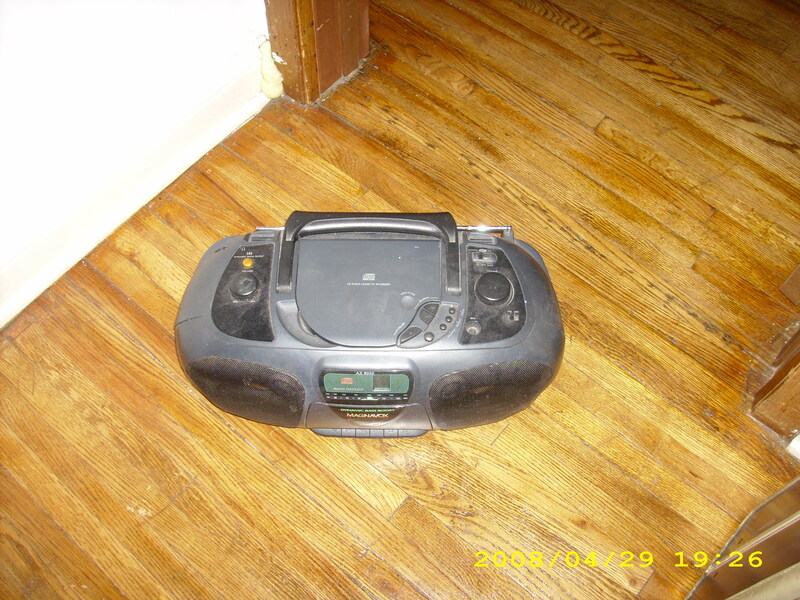 Wow, my first car had a stereo with nothing but the radio, and then that broke so I did the exact same thing. The batteries are a killer though. Have a good trip. godspeed! hurrah. Vacation edition top picture thing. Can’t wait to read your posts from the road. Good luck! That is exactly what we do down here when a hurricane is approaching. In your case, you’re not cheap, just smart. Have fun, be safe and take pictures! I noticed the new header too but was too lazy to comment last night. 😉 I hope you have a good time on your trip and like Bill said be careful and take lots of pictures!